Ohh Bad! Divyanka Tripathi Injured, Will Husband Vivek Dahiya Perform Solo On Nach Baliye 8? 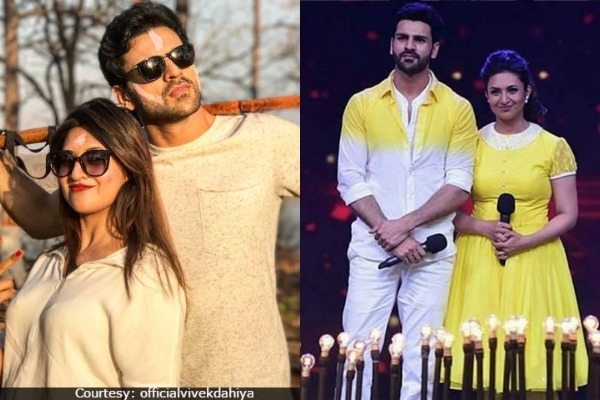 It’s a sad news for all Divyanka Tripathi and Vivek Dahiya fans. The television actress will not be performing for the upcoming episode of NachBaliye 8. The actress will not be seen this week as she has hurt her back while rehearsing for her upcoming performance on the celebrity dance reality show. The actress, who has entertained the viewers with her amazing dance moves with her baliye ‘Vivek Dahiya’, is suffering from old back injury. Divyanka had reportedly met with an accident two years back while rehearsing for Colors Style Awards with her co-actor Karan Patel. As the injury has resurfaced, it is getting difficult for the actress to rehearse for the dance performance. Divyanka has been asked for serious bed rest for a week and can only get back to dancing once she is alright. The actress, who had a great three week run on the dance show, took to her Instagram account to inform her fans about her injury. However, Vivek will be allowed to dance without his Baliye and is currently prepping up for his final dance shoot for the upcoming episode. Now it remains to see if Vivek can impress the judges with his solo act. We wish a speedy recovery to Divyanka Tripathi and hope to see you back on the stage!